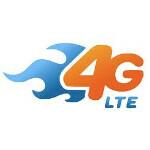 AT&T has announced that it is expanding its 4G LTE network to a number of new cities starting next month, going into May and into the Summer. The cities being added include Cleveland, Akron and Canton, Ohio; Naples, Fla.; Bloomington, Lafayette and Muncie, Ind. ; Baton Rouge and New Orleans, La. ; St. Louis, Mo; Bryan-College Station, Texas; and Staten Island in New York City. AT&T claims that its LTE pipeline offers speeds as much as ten times faster than 3G which means faster video streaming, download games faster and browse the web more quickly. It also means that AT&T customers will have the option of buying LTE powered models like the Samsung GALAXY Note LTE and the Pantech Element tablet. The carrier also notes how wireless spectrum is a finite resource and that LTE uses spectrum more efficiently than other technologies which allows more data traffic to travel through the same amount of spectrum used by other wireless methods. The nation's second largest carrier will still trail Verizon Wireless in terms of its LTE footprint. With more than 20 LTE devices in its lineup and with coverage of over 200 million POPs, Big Red is well ahead of AT&T when it comes to the technology. But to show how hard it is to get customers to make the move to 4G, as of last month only 5% of Verizon's customers are using its LTE network. When networks are new like that, they are not bogged-down at all and are extremely fun to use. I may be visiting my sister down in Naples Florida later this year and may have to swing by an ATT store to speed test some of their phones. I wish they would hit some larger cities. It is surprising that Minneapolis and other larger cities are not first on the list. Lucky for me I will be travelling more for work to Chicago, St. Louis and Kansas City so my fill of LTE will happen until then. Because there are major college campuses there. They are doing just like VZW did. You hit the college towns first so the students get excited about it and you have a shot at them posting to the social network feeds about it thus causing increased interest in ATT LTE and lead to more LTE phone sales. Good Lord I am waiting for LTE to hit Minneapolis! I might have to make the switch to Verizon soon. The LTE service is already working in New Orleans...and goodness its incredibly fast! Heres hoping that Baton Rouge will get it soon as well! So when is it comming to philadelphia? Thank God they're putting LTE in the college towns in Indiana. Their 3G network is way too populated in those areas.. I go to school in Bloomington and it's almost impossible to not drop a call anywhere near campus..
Im surprised, they still have not mention Providence, RI. A few days ago I was in the mall, did a speed test on the Galaxy Note with around 2-3 bars and it flew all the way up to 35mbps then leveled out at 32mbps. It doesn't matter how far behind they are with Verizon, the main thing is that they're building out their LTE footprint. What I love about Charlotte, NC is that we usually get all the new wireless technology here, so we already have 4G from AT&T, Verizon, Sprint, and T-Mobile. haha i live in cali in LA which has at&t LTE and its SLOW hspa+ is faster idk what LA has that at&t LTE is slow ... i tested out many phones galaxy note, lg nitro , samsung skyrocket and i never really got more than 4 mbps with an LTE signal when hspa+ kicked in i.got higher speeds from 8-11 mbps switched to verizon after being with at&t 4 years never looked back im rocking 20-30 mbps on my droid razr maxx much faster than what i ever got on at&t LTE. Is it Naples Florida that is getting LTE or is it Naples Italy?